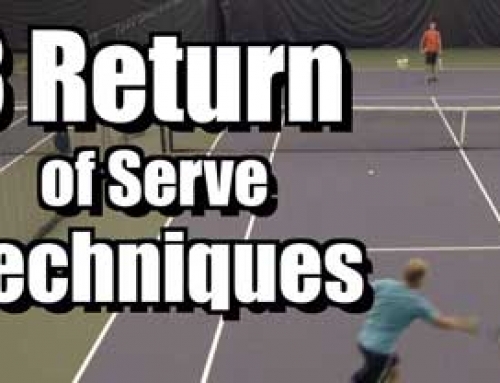 Being slow to ready your backhand can destroy your return of serve game! Here is the best grip to use, and how to get there fast. 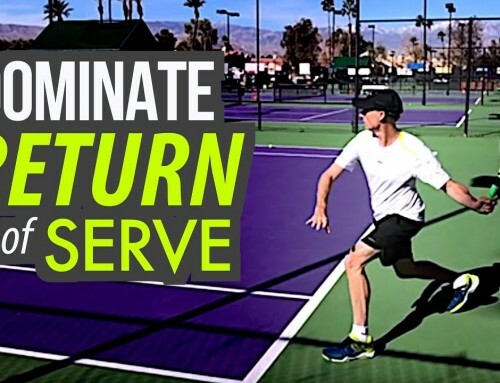 Hit the most ACCURATE groundstrokes of your life with this coaching series – Click Here! Hey Ira, I prepare to receive the serve with my (single) backhand grip. If it's a forehand, I can always find that grip easily, so it is very comfortable for me. Being a lefty, I receive most of my serves on the backhand side anyway. Righties seem to think it's the thing to do……wrong! Have seen several very good players starting with backhand grip, mainly when they hit a single handed backhand. I now use it; easier for me because I am more comfortable with my drive, so it is good to be ready to hit a backhand, then to change my grip if the ball comes to my drive. Thank you for this great tip Ira! I can't wait to try it when I get on the tennis court this weekend. I can immediately see that it is better than holding the racquet straight up and down on the serve return. Since I win with my forehand, its ready to go on the serve return, which is just what I want. I prefer to keep the forehand grip all time. If ball comes on my backhand it gives me awesome slice with good angles. Works great for me. Another option: I use an eastern backhand grip ready position when returning serve. Note that an eastern backhand is almost the same grip as a western forehand. So by using my offhand on the throat, i can quickly adjust to either a semi-western forehand (my normal shot) or a Continental grip with only a slight twist. If I used a western forehand, there would be even a smaller change needed. Would you also spin your racket to go from forehand to backhand grip and visa versa during a baseline rally? I worked this out for myself many years ago. I wait with a weak continental grip, i.e., a continental grip with some cheating towards the next bevel, so that it is almost an eastern forehand grip. 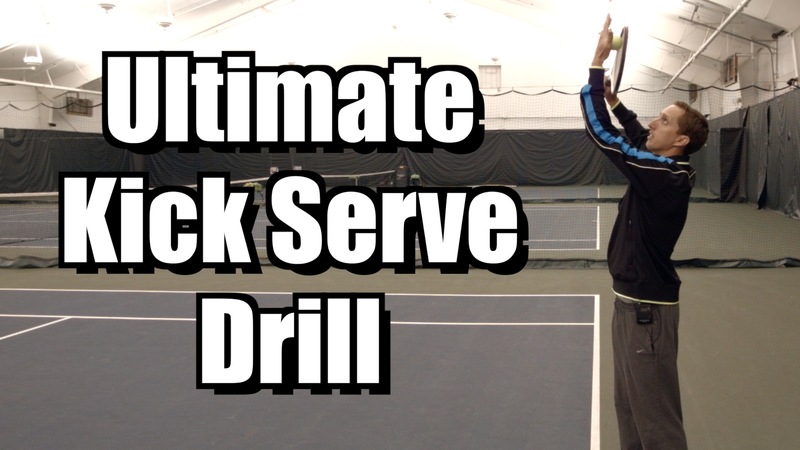 I use this weak continental grip in regular play for volleying and backhand slice groundstrokes. If I am dealt a really fast serve, I can hit a slice backhand return or even a forehand blocking or chip shot without any change of grip. 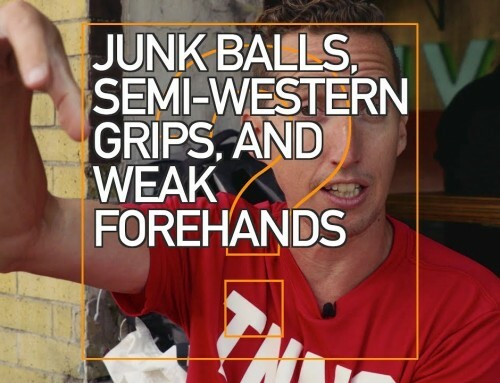 If I have enough time to switch grips, I am fairly close to a semi-western backhand grip. Also, I can easily slide the racket to a semi-western forehand grip while getting into my unit turn for a forehand topspin return. After enough play and practice, these grip changes or not changing grip, depending on the situation, become automatic. I'm glad you found what works best for you, Lance! i wait on continental grip (which i use for backhand) and easily change to forehand grip (spin raquet) if serve comes to forehand. In other words…I am ready for backhand return and switch if it comes opposite side. Sometimes I change to backhand grip (not continental) to give server a deep topspin return…BUT that is seldom times as I only do it on slow serves. (the majority of slow serves give me time to run around them and prepare for forehand). 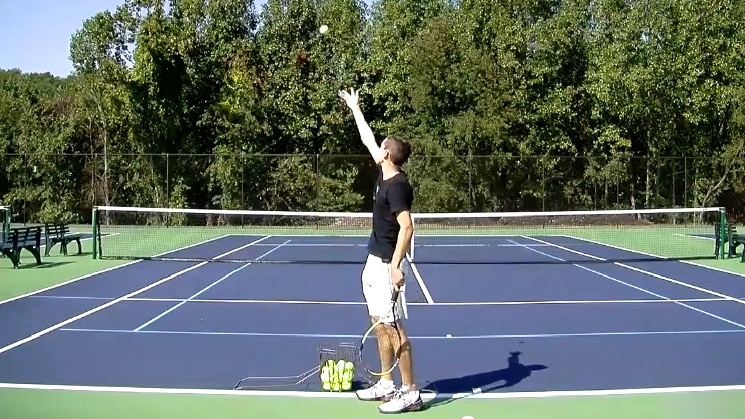 So, my backhand return is a continental one handed release shot that usually goes low crosscourt (tops or slice). Still…90% of the time they are defensive. I'd like to add the offensive alternative when situation calls for it. I've actually been experimenting with that myself, Yaseen (this is Ian). For whatever reason I find it a lot more difficult to change from forehand to backhand than the other way around. I haven't made my mind up about it yet, just experimenting. In general I personally prefer Ira's approach for students, but it doesn't absolutely have to be that way to be successful. I learned to play many years ago when the Continental and Australian grips were more in vogue. I am much more comfortable with these grips than with the more aggressive modern grips (semi-Western or Western). Because of the grips my strokes tend to be rather flat which leads to errors and at times lack of depth. 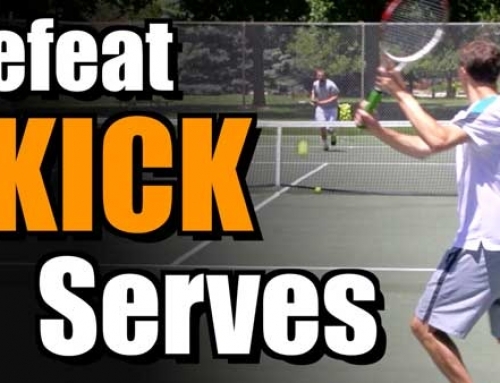 Do you have tips for producing greater topspin on the forehand and backhand with the older grips? When I experiment with the more modern grips I feel like I am starting all over again. I would prefer to improve on the foundation I already have rather than start from scratch again. You can increase the spin easily buy adding little lag and snap. I use eastern forehand and hits with a lot of spin without any problems. I break a string in 10-12 days with a 95 head racket. When I tried wilson spin models, was breaking a string in 3-4 days and PS97 I was breaking in 6-7days. That's a great topic, Mike. It IS possible to hit topspin with a continental forehand. Obviously not as much as a more aggressive grip, but it is doable. I used to hit all day with a continental grip when I taught and I was definitely able to curve the ball. Maybe we'll cover that in a future video.